The Fleming Files: Allan Fleming's Life & Works delves into the wide-ranging body of work produced by Canadian graphic designer Allan Fleming. His designs, familiar not only to typophiles, have become part of the Canadian landscape, from the iconic CN Rail logo to stamps for Canada Post. Learn all about this fascinating designer through eleven articles featuring over fifty images to add illustrative accompaniment. MARTHA FLEMING, one of Allan Fleming's three children, introduces readers to ‘Allan Fleming's Many Worlds’, setting the scene for the group of scholars who contributed articles to this edition. She also presents a useful chronology of her father's life and work, both personal and professional. ROBERT TOMBS, DEVIN CRAWLEY, DONNA BRAGGINS, CAROL PAYNE and BRIAN DONNELLY each contribute pieces that document Fleming's design career, particularly in the areas of book, magazine, and logo design. Also reproduced are ALLAN FLEMING's ‘Autobiographical Fragments and Canadian Nationalisms’, lending Fleming's own voice to the volume, and the 1965 ‘Ontario Hydro Symbol Document’, which provides readers with a sample of Fleming's design work. Even today, how many graphic designers could land a one-man show at an art gallery or fine art museum during their lifetime, much less before the age of thirty? How much more difficult—or audacious—was it to land one fifty years ago, in 1958? And not only that, but to have made of the exhibition an event newsworthy enough to have a twelve-minute piece on national television about the work and the show? 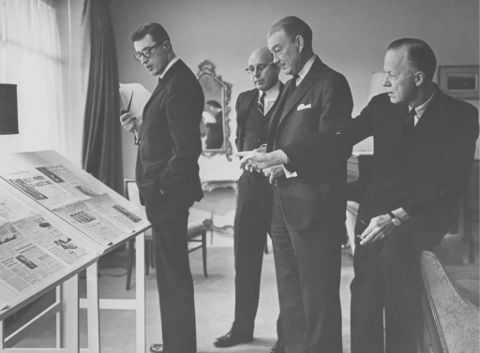 The guest list of friends and colleagues, preserved in Fleming’s papers, gives a clear sense of the many worlds Allan spanned: executives from Eaton’s, Imperial Oil, Knoll International, MacLaren Advertising, publishers from Maclean-Hunter and Saturday Night magazine, Oxford University Press and Cape Publishers, Rolland Paper, and printing firms Rolph Clark Stone and Rous & Mann were all there, as well as other individuals who were helping to shape the visual culture of Canada and beyond—Paul Arthur, Carl Dair, Theo Dimson, Arnaud Maggs. Allan Fleming’s practice was astonishingly varied and prodigious: logos, book design, medals, coins, stamps, television commercials, advertising campaigns, typographic ephemera and magazine design, to name but a few. 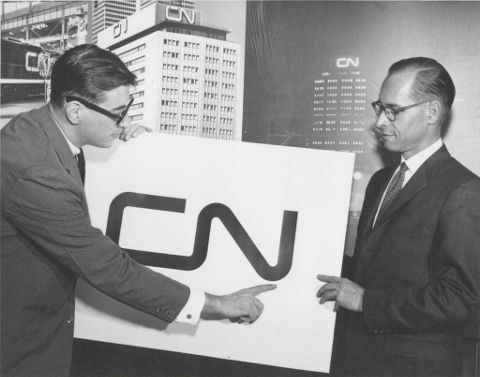 He was also pivotal behind the scenes, whether it was in relation to Canada Post, the Design Council or, especially during his years at MacLaren Advertising, with the Liberal Party. His design pedagogy—both formal and informal—shaped an entire generation of graphic designers in Canada. If you are using an Amazon Kindle, or a device that runs the Kindle App, you will need: sf5_kindle.mobi. If you are using an Apple or Android device (tablet, smartphone) an e-reader (such as a Kobo or Sony Reader) or a personal computer, you will need: sf5_epub.epub.